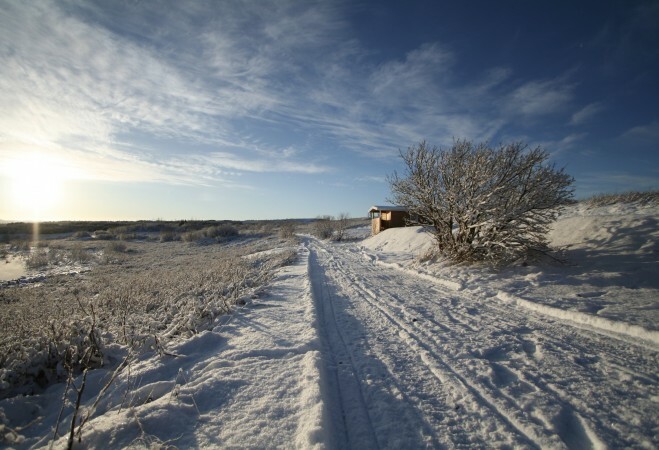 Reykjavik Iceland, 3 Cabins and 5 Acres Of Private Land By A Secret Lake In The Capital City. 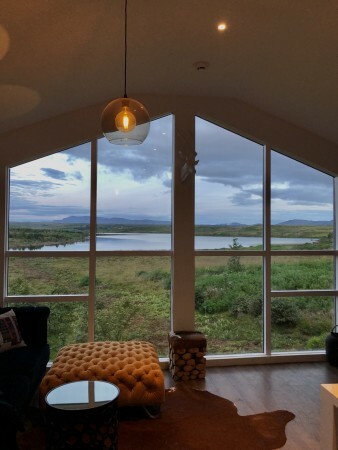 This is an unique opportunity to invest in a beautiful private land in Reykjavik, the capital city of Iceland. The land is 5 acres (2 hectares or 20.000 square meters) and has beautiful views over the raw nature. The land is surrounded by the mountains: Blafjoll, Hengill, Ulfarsfell, Hafrafell and more. There is a lake in front of the land which you can fish in. This land is very well located in Reykjavik and only 10 - 14 minute drive to the city centre. On the land is a private water well which is 100 meters deep in to the ground and provides you large amounts of the probably the best water you can ever taste. The wildlife is very interesting and has many birds for example: owls, falcons, merlins, ptarmigans, swans, sparrows, snipes and many other kinds which you can see out the living room window. There is some fish in the lake which is mostly trout. In rare cases there is a possibility to see some foxes. Around the land are many walking paths through the beautiful nature. The trees on the land give you great privacy from a private road shared with only a few other houses. The location is perfect to view the beautiful northern lights. The main house is 50 square meters and has a nice bathroom with a window, large shower, sink, toilette and a washing machine. The bedroom is with wooden floor and has one double bed and a double wardrobe and windows in two directions. The living room is with wooden floor and has large windows to all directions with breathtaking views over the nature and the lake. 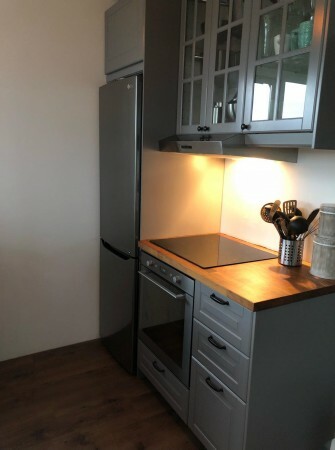 In the living room is an open kitchen with a large sink, refrigerator, oven, and spam hob. Nice sofa and tv area and a nice dining table as well. Around 120 meters away from the house are two 14.9 square meters guest houses. They are prefect for up to two persons to stay in and are supplied with a small kitchen and a small bathroom with a shower sink and a toilette. This is a very rare land in the capital city of Iceland and can be kept as a raw nature or a possible place for some construction. * A boat can be included.